Whenever you hear the term ‘Facebook page‘ the only words that would most probably buzz around your head is promotion, gaining Facebook likes, new leads, new offers, new ads, new posts flooding the news feed and again, more likes. 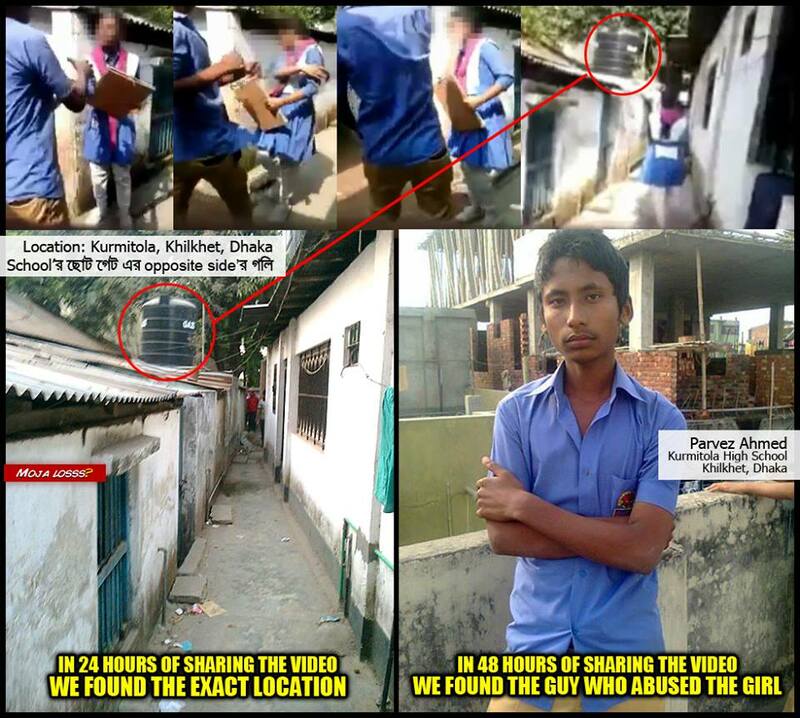 At a time when people are biting their nails off to advertise their company immensely in this social media portal and stand out from the rest, Moja Losss!– an entertainment Facebook page based in Bangladesh posting funny memes on daily lives managed to identify a criminal in just 2 days. Yes. 2 Days. 48 hours. And no, the criminal isn’t a suicide bomber or a shooter. Here’s how the event unfolded. On April 2nd, Moja Loss! shared a video showing a boy who slapped a girl after a brief altercation in an unknown location in Dhaka, Bangladesh. It was later found out that the person who originally posted the video was making fun out of it along with his buddies. His account was later on de-activated. You might ask why did the boy slap the girl? Just because she ended the relationship. The reason of Moja Loss! sharing the video in the page was to mainly alert the people not to look down on females, share the video as much as possible to identify the boy and most importantly never to abuse females. The post ended up with over 4,400 likes and over 3000 shares! On April 3rd, an anonymous person shared the location of the video and not only did he share the information but also snapped a photo to show the similarities between the one in the video and the picture. It turned out to be in a place called Kurmitola(Khilkhet) in Dhaka. Finally, on April 4th, Moja Loss! posted another photo but this time with the picture of the culprit. Identified in just less than 48 hours! Turns out, the boy is a high school student. A crime is a crime and most importantly a crime as disgusting as this cannot go unnoticed. That doesn’t mean we should do the same to him too. As these students are the future of our country what needs to be done is giving proper education to them and making them understand what is right and wrong. Through this event we have actually witnessed the true power of social media. It’s not just advertising and boosting posts for promotion but doing something useful for the society. If you visit their Facebook page, you can find out that none of their posts are advertised or in Facebook’s words, ‘boosted’. Apart from the social media power, they have also showed that if there’s an interest, it is actually possible to achieve anything. And when there’s a crowd with one goal, there’s nothing stopping them to achieve it. Some might argue that it would have been best if both side of the stories could be heard. We do agree with that but in under no circumstances should anyone start beating up someone for immature reasons. Moja Loss! has just entered a whole new dimension by showing what a facebook page can be capable off. They deserve a medal of honor! Who’s with me in supporting them? 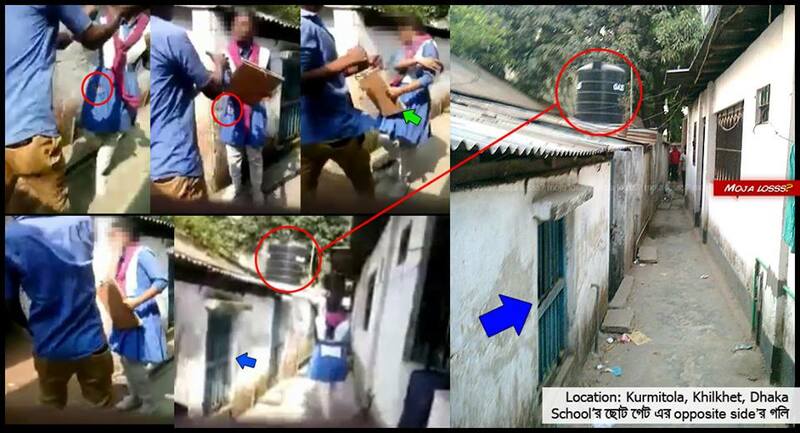 The boy has been arrested for further investigation in this matter, thanks to Mashroof Hossain, ACP, Cantonment Thana. Follow their page in Facebook to have a look at their other hilarious posts! This is really is the true power of online social network.